What happens to a wooden pencil after you wear it down to a stub? It gets tossed into the trash. "There are 15 billion pencils made annually, and three million of those just in the United States. That's a lot of pencil stubs thrown away," said Michael Stausholm, CEO of Sprout World. 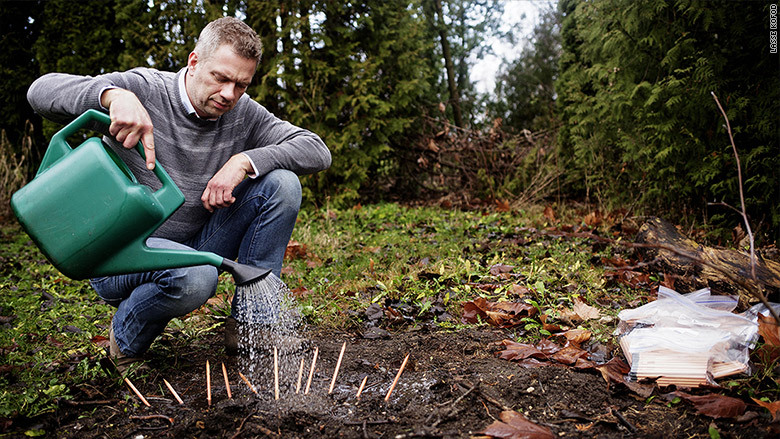 Denmark-based Sprout World wants to shrink this waste. 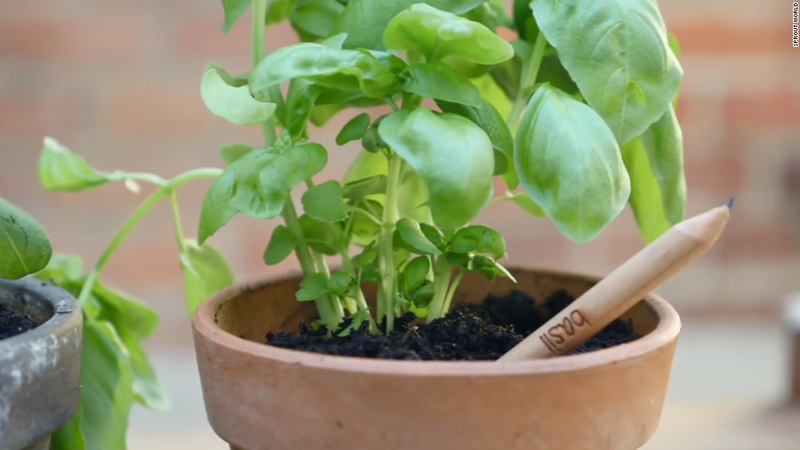 The startup makes plantable pencils that grow into vegetables, herbs or flowering plants once you're done using them. Stausholm said the pencils, made from cedar in Pine City, Minnesota, are the perfect sustainable product because one "dying product is literally giving life to a new product." Where a typical eraser would be, these wooden pencils have a capsule made from biodegradable material that contains a small mixture of seeds and peat. You plant the capsule in a pot of soil and use the stub end of the pencil as a marker. The capsule dissolves and the seeds grow into a plant. The pencils come in 14 varieties ($19.95 for a pack of eight), including tomato, lavender, basil, sunflower and green pepper. Sprout World CEO Michael Stausholm. The pencils were developed by three MIT students in 2012. "At the time, I was living in Denmark and working a lot with sustainable companies," he said. "But sustainability is hard to illustrate to consumers. I was searching for a product that could easily do that." A year later, he came across Sprout Pencils when it was a Kickstarter campaign. "I loved the idea. It was a perfect way to explain what sustainability is all about," said Stausholm. Stausholm partnered with the students and convinced them to let him sell the pencils in Denmark. "We sold 70,000 pencils in the spring of 2013. We realized there was definitely demand for them," he said. By 2014, the startup had sold a million pencils across Europe. Later that year, Stausholm acquired the patents and rights to the brand and became Sprout World's CEO. He said Sprout World now sells an average of 450,000 pencils a month and has logged more than $3 million in revenue. 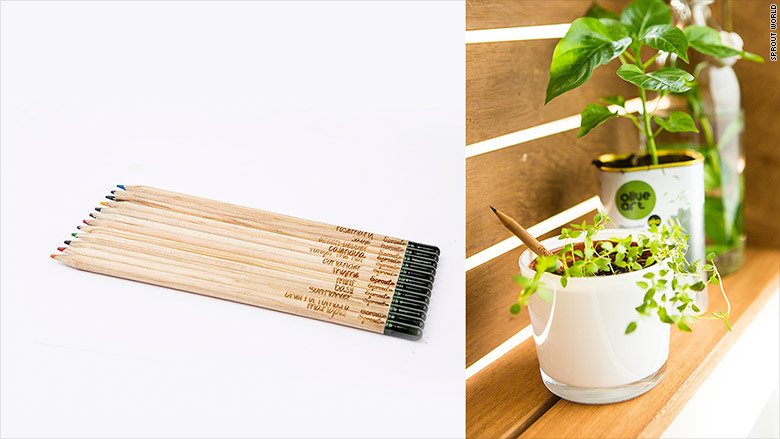 These plantable pencils from Sprout World grow into herb, vegetable and flowering plants. The next step is to conquer the U.S. market. Stausholm opened a small office in Boston in September to get momentum going. There are two employees there and 15 in Europe. "America is a couple of years behind Europe in terms of embracing eco-friendliness," he said. But he thinks it's a perfect market for Sprout World pencils because its creators and manufacturers are U.S.-based. 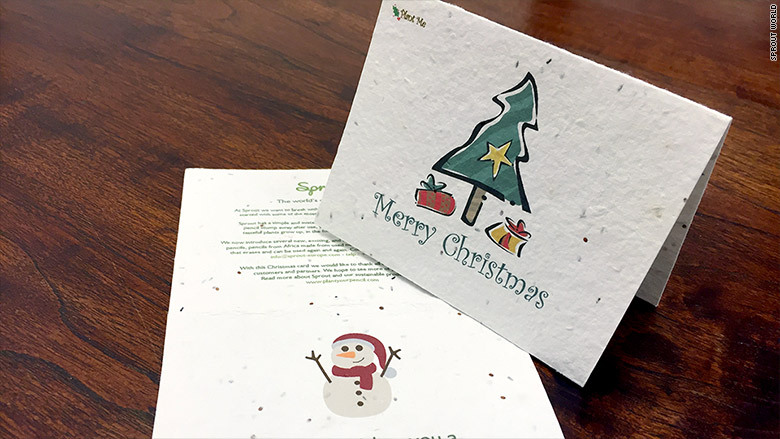 In January, Sprout World will start selling plantable greeting cards with seeds embedded in them. The pencils are sold on Amazon (AMZN) and in Whole Foods (WFM) stores in the U.S.
Stausholm is also focused on bringing down the price. Ultimately, he wants every student around the world to use Sprout World pencils. In January, the startup plans to roll out new products, including plantable greeting cards and colored pencils. "We know we can't save the planet just with our products," said Stausholm. "Our mission is to at least educate people on how to be more conscious in what they buy and look for products that are reusable."